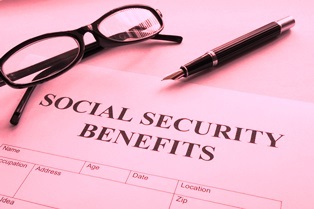 How do I protect my claim during a Social Security Closed Period? How to Prepare for Your Disability Hearing The hearing is the most important part of your disability claim, so being thoroughly prepared is critical. This is where an attorney can really help you. When you have an ongoing medical condition that makes it impossible for you to work, you may apply to the Social Security Administration (SSA) for disability benefits. However, given the significant backlog of applications, the SSA may not get to your claim for years. If your disabling condition made it impossible to work for at least 12 months, but your disability ends because you have medical improvement, it’s still possible to collect benefits for the amount of time you were out of work. This type of claim is for a “closed period of benefits. An example of this situation, is an individual that has surgery, recovers after the surgery and is able to return to work. To be approved for disability benefits during a closed period, it’s helpful to hire an experienced SS disability attorney who can assist you with this type of claim. When you limit your claim to show that you were disabled for a specific period of time, the SSA sees this as honest and credible. Many judges respect your intention to return to work and not continue to state that you have a disabling condition. It is difficult to justify ongoing disability if your condition has substantially improved. An SSA judge can award you a closed period benefit even if you haven’t asked for one. If your medical evidence shows your condition improved, the judge has the right to limit the number of months for which you’ll receive benefits. Typically, the judge will present this during your hearing, and you'll receive the option to change your benefits request. You and your attorney should discuss whether this is the right choice. Keep in mind: you don’t have to accept the judge’s offer of a closed period benefit. If you’re attempting to return to work when you appear for your claim hearing, the judge may suggest that you alter your claim to a closed period benefit request. This, of course, may not be a good idea, as you may not yet know if you can handle going back to work or meet your job requirements. Your lawyer may feel it will be too difficult to get an approved, on-going disability award if you’re back at work when you get to your hearing, so it’s important to discuss and evaluate this option before taking this direction. Your best chance of getting a closed period claim approved lies with a Social Security Disability lawyer who is familiar with closed period disability cases. If you need help with your disability claim, or you want to apply for closed period benefits, the attorneys at Cuddigan Law can help. We’ve assisted thousands of clients with their disability claims, getting them through this complicated and frustrating process. Contact us for a free evaluation and we wll let you know how we can increase your chances of receiving an approval on your appeal.